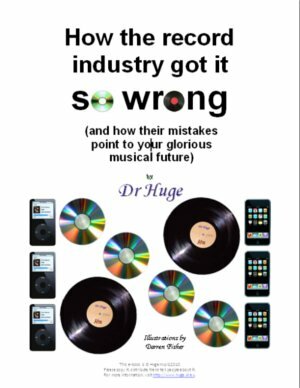 How the record industry got it so wrong (and how their mistakes point to your glorious musical future). OK, well the E-book is out. I have completed Part 1 with the assistance of the incredible art of Mr Darren Fisher. The blog version is here and free but a more convenient version can be downloaded for free by ordering it here. It's all free at this point, so help yourself. Parts 2 and 3 will follow as soon as I have written them.